I enjoy coaching Suzie! She shows up everyday on the front row giving 100% every workout! If you see her be sure to tell her how great she looks! She finally found the secret—Nutrition is the key to reaching your goals! 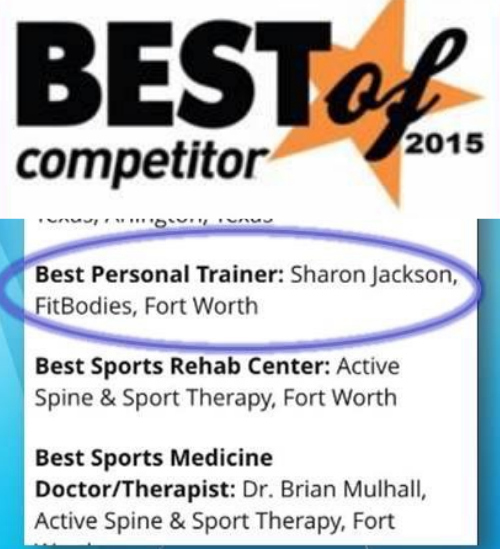 Thank you Suzie for being a part of the Fitbodies By Sharon Family!! My goals are to get off of blood pressure meds and drop two dress sizes. The one thing that keeps me motivated is finally accepting that I must make myself a priority. 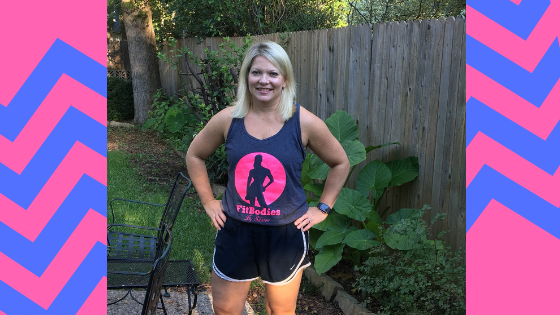 I started with FitBodies two years ago; I had never done boot camp and was intimidated by the idea until a friend saw me walking early one morning and said, “you should come do Sharon’s class.” I could tell she had worked hard so I thought maybe the class would be a more effective use of my time than walking by myself. FitBodies has made a huge difference in my life. For the first time, I feel strong. I anticipated the physical strength but the emotional strength was something I didn’t expect. At the beginning of class, I would worry if I could make it through the exercises; at the end, I was so proud of myself for what I accomplished – even if I wasn’t the fastest or didn’t have the best form. Sharon, Ginger and all of the women who work out with FitBodies are supportive of each other and encouraging. I’ve made friends with women I probably wouldn’t have if it wasn’t for Sharon’s class, while getting stronger at the same time. And the fact that Sharon is a Saints fan? We were meant to be friends!! So far, I’ve completed four 5k races, most recently running the full distance without stopping…and running is one of my least favorite things to do. Ten weeks ago, I started focusing on nutrition in addition to FitBodies, and since then I’ve dropped 4” off my waist and lost 22 pounds. Now I can see the muscle tone I’m building with FitBodies. I wanted to join to lose weight. That’s it. And I’ve accomplished SO much more! If you are on the fence, just show up. Stop making excuses and make it happen. You are worth it!